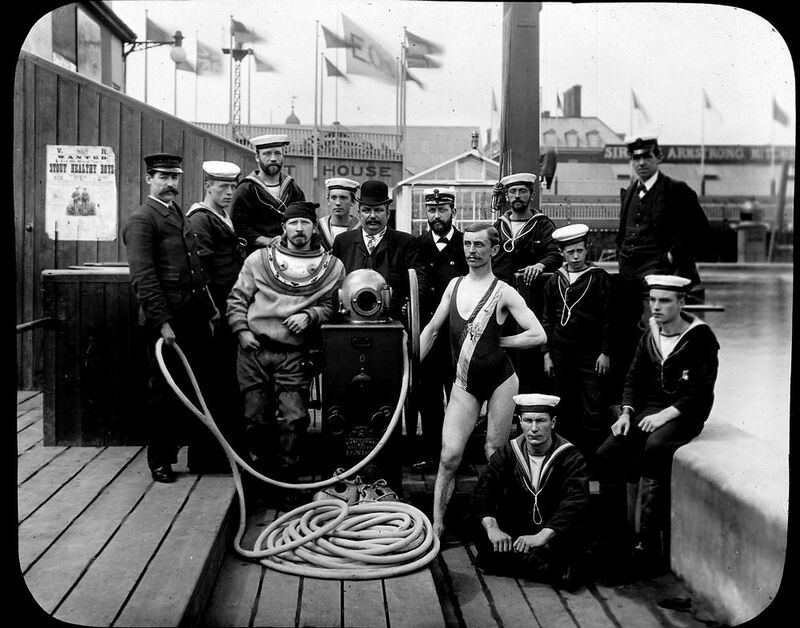 Group of sailors and divers in Siebe Gorman diving apparatus posing at the Royal Naval Exhibition of 1891. This Scene from the Royal Naval Exhibition of 1891 Art Print is created using state of the art, industry leading Digital printers. The result - a stunning reproduction at an affordable price.